The World’s largest tidal mill. 5-storey, timber-framed, brick-clad timber watermill with four waterwheels, originally built 1776 to mill grain for distillery trade. Operational until 1940. 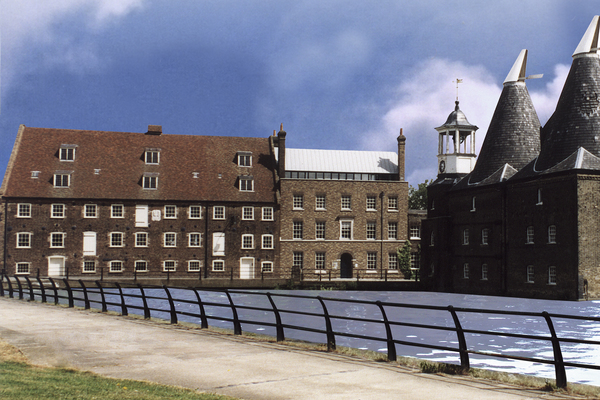 On historic 3 Mills Site. The House Mill was built in 1776 by Daniel Bisson, on the site of an earlier mill and between two houses occupied by the miller and his family, hence its name. The Clock Mill opposite was rebuilt in 1817. There was also a third mill, a windmill, which survived until about 1840. 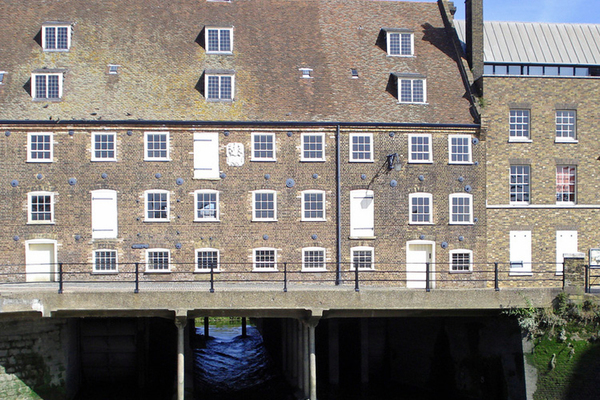 The House Mill continued to operate until 1941 and the Clock Mill until 1952. 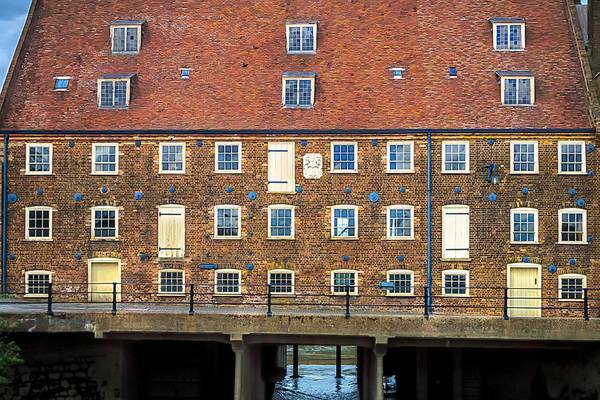 In 1989 work began on the House Mill and the fabric of the Mill has been fully restored. As part of the work to restore the site, the Miller’s House, which had been demolished in the late 1950s, was reconstructed in 1993/4. The façade was rebuilt to the 1763 design with reused 18th century bricks. Using many of the original materials recovered from the bombed site, the ground floor of the Miller’s House has been reconstructed as original, whilst the rest of the building is a new structure. The Miller’s House provides a visitor, information, and education centre, with meeting rooms for hire and a small cafe. It was funded by the European Union. In 1996 it won a Civic Trust Commendation for outstanding architecture. The garden was laid out to include a combination of design suggestions by pupils of Sarah Bonnell School, and includes original kitchen garden plants and a herb garden.